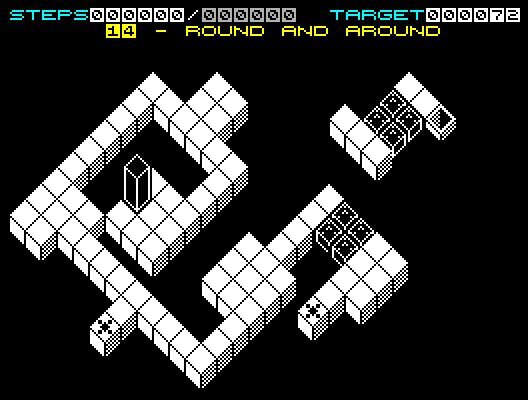 Tumble & roll your block around the levels in order to reach the exit. Use the switches, teleports, glass, crumbling & splitter tiles around the level to your best advantage, and to complete each level in the least number of moves. 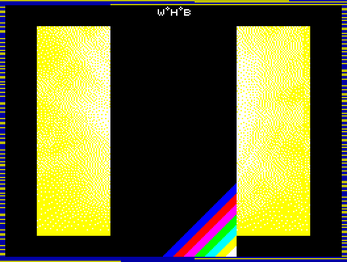 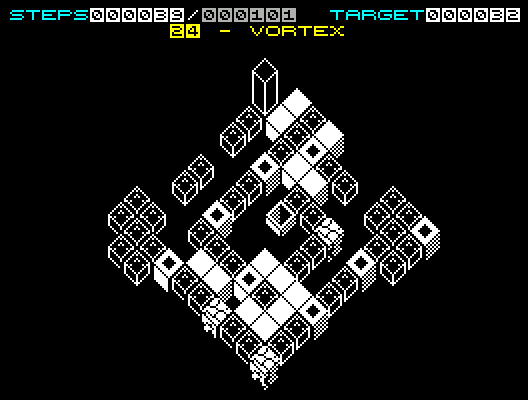 There are a number of games like this to be found on the internet at the moment, and with my love for puzzle games I thought it was about time it made its way onto the Spectrum, especially as I could utilise an isometric viewpoint for the game which I think always looks cool on the Speccy. 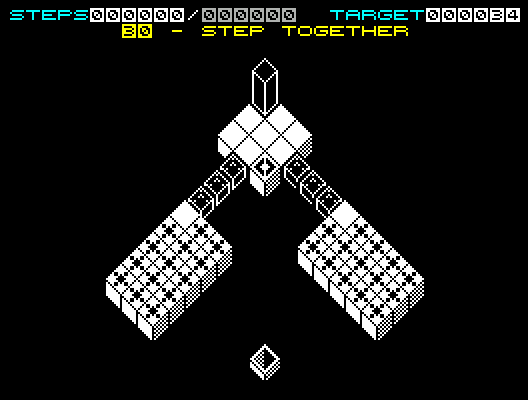 The game itself is a collaboration with a number of the talented people from the World Of Spectrum forums - Mister Beep provides the fantastic 48K beeper tunes used throughout - I'm overjoyed to at last have a 48K game which actually sounds good! Other WOSers - Jumping Stack, Karl Gillott, Mulder, & ZnorXman - have all provided excellent levels for the game, and Kev Thacker provided the name for the game.